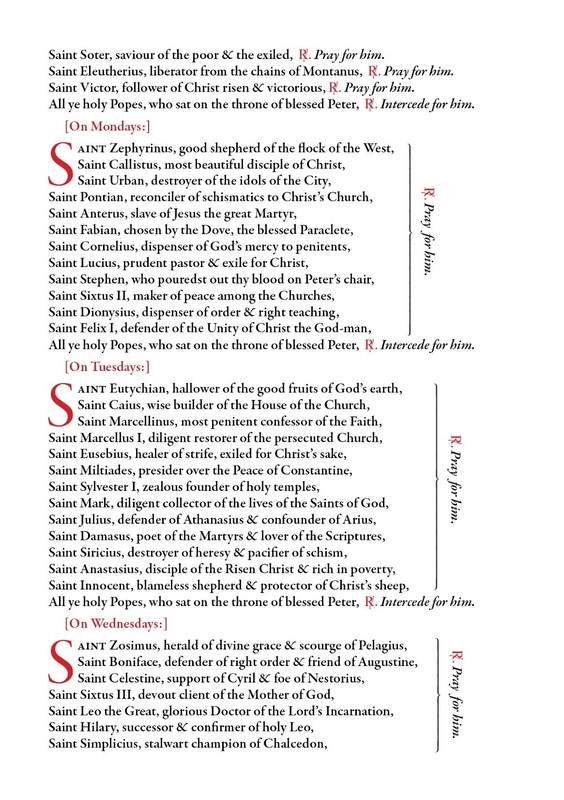 With the upcoming Synod, so many needs and crises in the Church, and, in general, out of our piety as Catholics towards the Holy Father, we should be praying for Pope Francis more than ever these days. 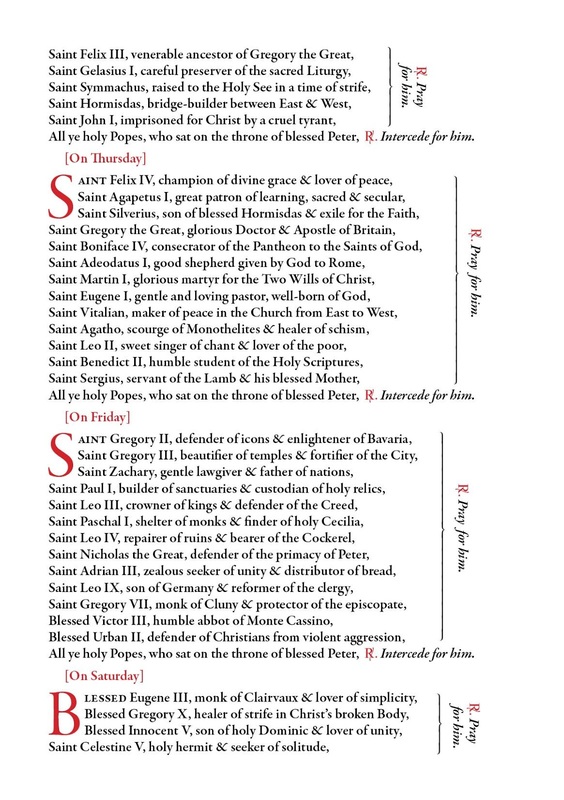 I was therefore delighted when Dom Benedict Andersen, a monk of Silverstream Priory in Ireland, sent me this beautiful "Litany for the Holy Father," which invokes every canonized or beatified pope in the history of the Church. 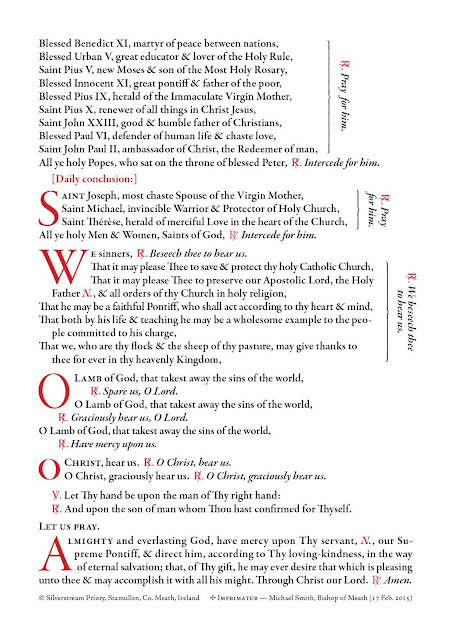 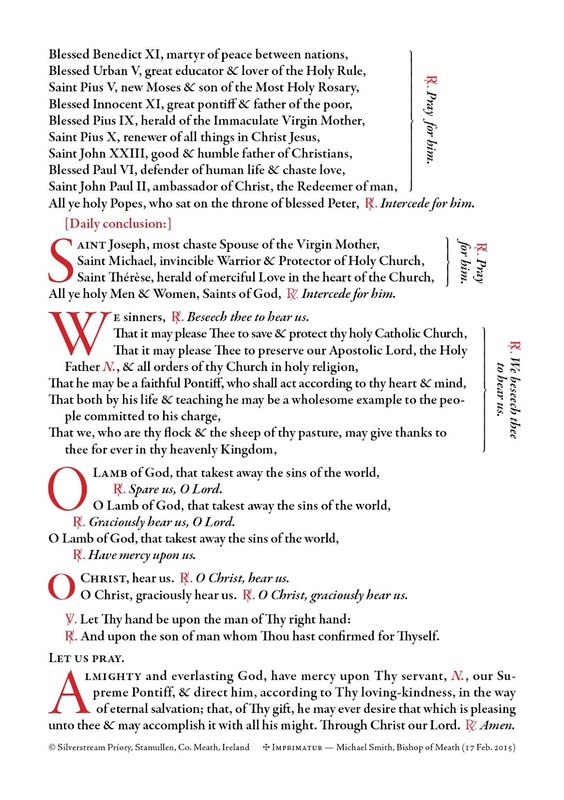 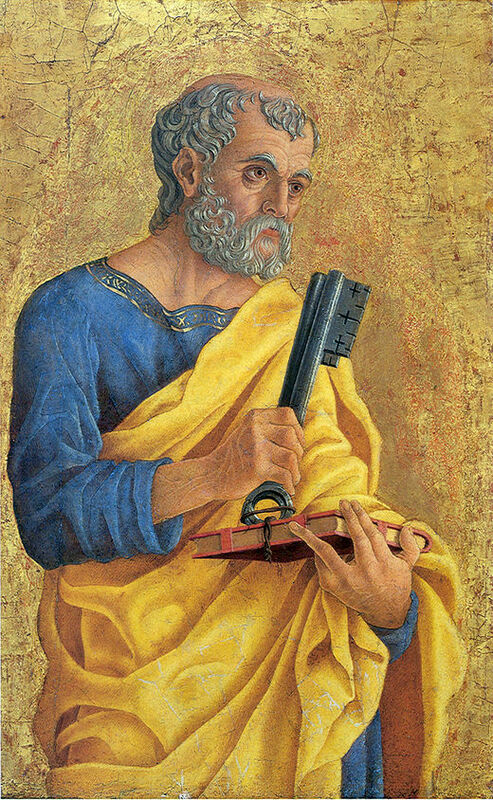 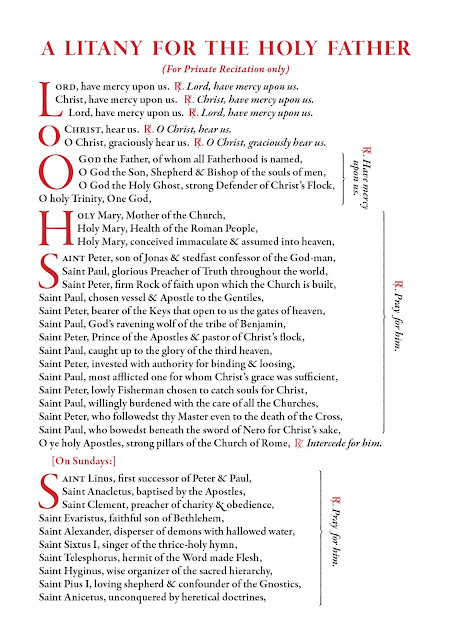 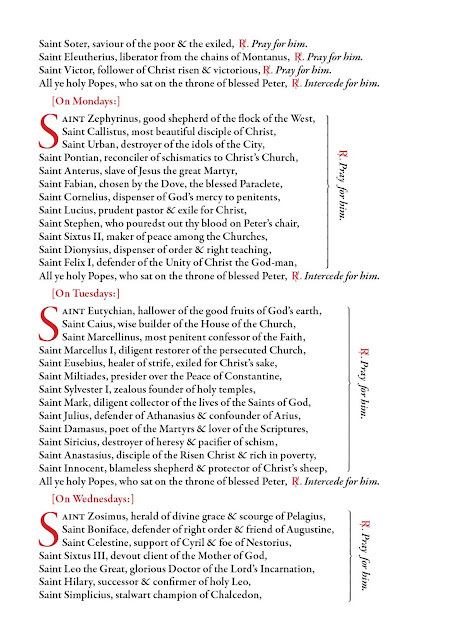 The Litany is divided up according to days, with repeated opening and closing sections. 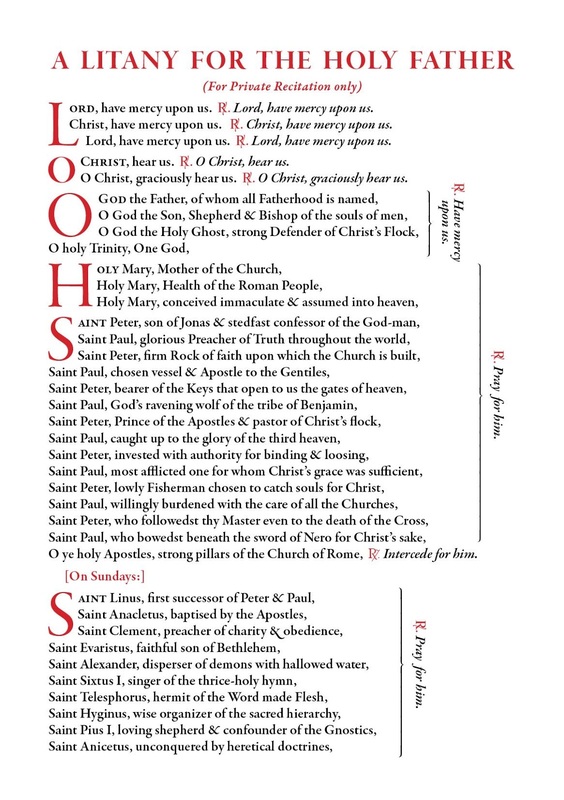 According to Dom Benedict, readers should feel free to print this on their own, but Silverstream does have nicely printed copies available (suggested donation, 1 dollar or 1 euro each).